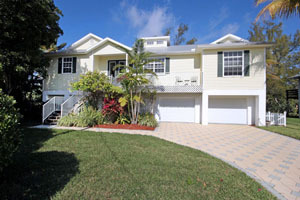 Sanibel Island Real Estate, Captiva Island Real Estate - Sick of snow? I can help! Sick of snow? I can help! Winter snow is great, as long as you're watching it on a TV from Florida. In fact it's almost fun. 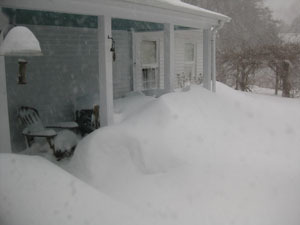 As I write this it's snowing almost everywhere up north. I think Boston is out of ways to measure it. They are definitely running out of places to put it. I keep hearing them refer to "snow farms" as places where they dump the tons of snow. I bet Sanibel and Captiva Islands are looking pretty good to people as they shovel snow day after day. But like I said, it's fun to watch it on TV from Florida. 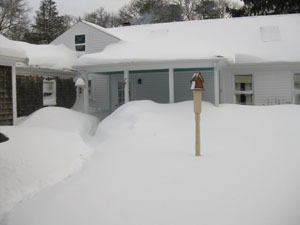 So I know how to rescue our northern snowbirds from all that mess. Move to Sanibel! And I have the perfect new listing for you. 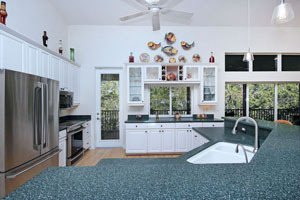 This home offers Florida living in a super convenient three bedroom two bath Old Florida home. Take a look at the home on the right compared to the photos above! Pictures do tell the story! 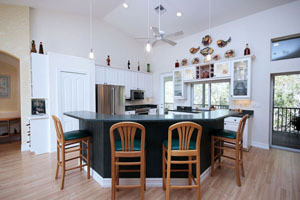 This home is located at 1710 Sand Pebble Way on Sanibel Island. The home is a three bedroom, two bath with lots of room. 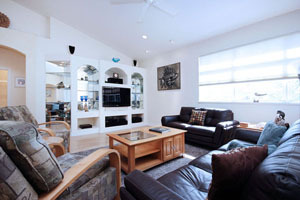 It has an open floor plan and is located on a quiet Cul-de-Sac near beaches and shopping. This home offers a bright and airy kitchen with state of the art appliances and lit display cabinets with custom glass doors. Open the pocket sliders to access the huge, wrap around, screened lanai with sunset and water views which extends your living space outdoors. 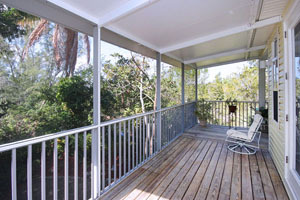 The lower level has a screened lanai and the property is landscaped with a fenced in yard and a heated Jacuzzi tub. The home has lots of storage too! This Sand Pebble home has features you should see, so give me a call today! I can help you get away from snow, and get you a chair on the beach! If this home isn't for you, I can find you a condo, homesite or the perfect home to fit your needs - Call Me Today at 239-691-4915, or use my contact form. Don't forget to use my App when you get to the Islands! It has lots of fun features - things to do, places to go, and videos of our islands. Check it out Here!